Well, better late than never for our What We Like (or Don't Like) Wednesdays. 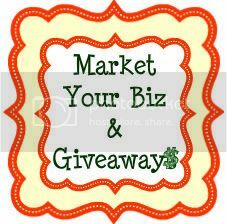 I have been busy today trying to get Google Analytics to work with our Facebook page. Working with the computer is SO time consuming, especially when what you're trying to do isn't working. And Beth isn't feeling well today. She has a head cold (I think) and is feeling just generally yucky. :( She stopped by today to pick up some medicine. Hopefully, the medicine will help her sleep, and she will start feeling better. I decided to review two different products today. 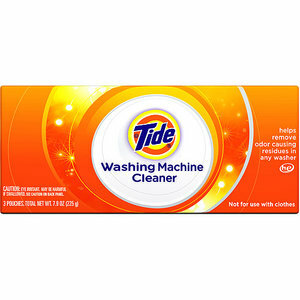 The first being Tide Washing Machine Cleaner (Tide Washing Machine Cleaner, 3 Pouches) which is available at Amazon. I have a front-load washer and noticed black scum starting to build up around the door and seal. I changed to powder detergent which helped but was hoping for another solution. I got a coupon for Tide Washing Machine Cleaner and thought I would try it. It was still expensive (at least to me) with the coupon (around $7), but I was hoping it would help. I followed the directions and waited for the washing cycle to end. The areas where there was black scum looked better, and the washer smelled really nice. I used the second pack the following week (again following directions) and got the same results. The areas where there was black scum looked better, and again, the washer smelled fresh. I haven't used the third pack but expect the same results when I do. I will update my post if the results vary at all. So, what do I think of Tide Washing Machine Cleaner? It helped to clear the scum from my washer; however, the black stains caused by the scum are still there. It also made the washer smell really fresh; however, the smell only lasted for about a day. So with this in mind and due to the cost, I would not purchase it again. My second review is for Nexxus Pro-Mend Hair Care Products. The only positive thing I have to say about the shampoo (Nexxus Pro-Mend Shampoo, Split End Treatment, 13.5-Ounce ) and conditioner (Nexxus Pro-Mend Conditioner, Split end Binding, 13.5 oz ) is they both smell nice. Now the negatives. The shampoo doesn't lather well (you have to use a lot). The conditioner is runny (again, you have to use a lot). I want a conditioner that sticks to your hair and, well, conditions. These products make your hair feel dry (Beth said the same thing). I'm not sure if these products really mend split ends. With my hair feeling so dry, I can't see how that would help split ends, and I really don't think there is a product out there that mends split ends. The only help for that is getting your hair trimmed on a regular basis. So for my final thoughts, I think you already know at this point that I would not buy Nexxus Pro-Mend Shampoo or Conditioner again. Now the Nexxus Pro-Mend Leave-In Treatment Creme (Nexxus Pro-Mend Leave-in Treatment Crème, 4.8-Ounce ) is a very different story. I LOVE this stuff. I use it on both damp hair and dry hair. I only have to use a little bit, and it makes my hair so soft and manageable. I also flat iron my hair, and I believe it helps protect my hair from the heat. It doesn't really help with frizziness but, honestly, what does in this humidity! So, would I buy Nexxus Leave-In Treatment Creme again? Well, that would be a "YES!" because I already have. I hope you enjoyed my reviews and hope they help in your decision as to whether or not to buy these products.